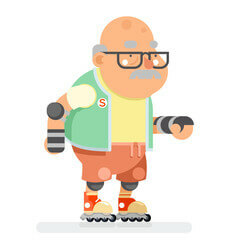 You’re Never Too Old (Or Young) to Skate! Have you ever heard someone say they wished they’d learned to do something when they were young and then go on to lament that they are “too old” now? Well, here at Rainbow Skateland in Lockport, NY, we say “Hogwash!” You’re never too old (or too young) to start experiencing the thrill of skating. We have skating programs and open sessions for every age group. Every Monday night from 8 p.m. to 10:30 p.m., we offer Adult Night here at Rainbow Skateland. Adults 18 and over get a chance to own the rink or take a lesson without worrying about kids skating circles around you. Our family night is a huge hit for all ages! We offer family-friendly fun every Saturdays from 7:30 p.m. to 10 p.m., which means it’s time to load the kids in the car and bring the family down to Rainbow Skateland for a few hours of fun! Every Tuesday from 10 a.m. to 12 p.m., we’re the place for pre-school playtime! This is the perfect thing for parents with young children who want to learn how to skate, bounce around in our super fun bounce houses, and meet new friends. 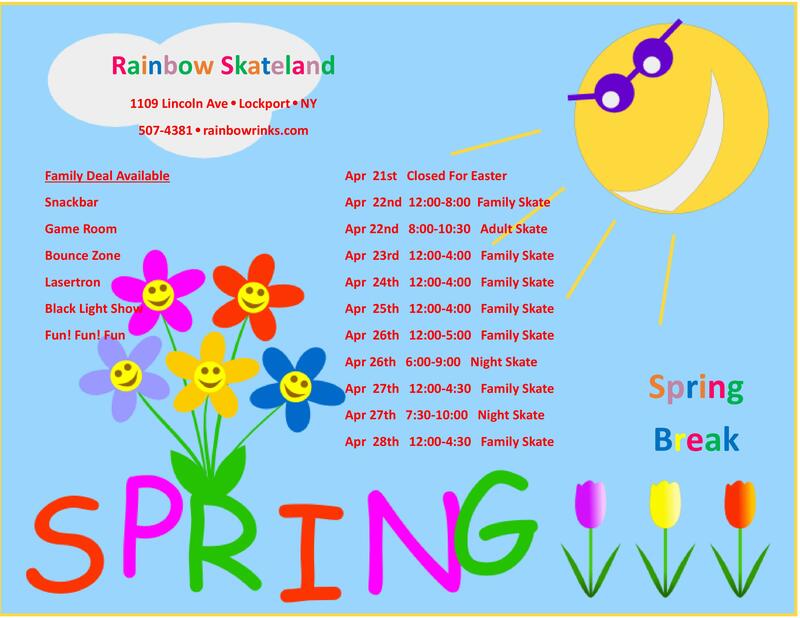 These are just a few of the fun programs we offer here at Rainbow Skateland, but we offer a plenty of other awesome specialized sessions and open skating times. Check out our online schedule for a full rundown of what’s going on here in Lockport, then stop by for some fun!